Born in Barcelona, Eusebi Arnau i Mascort (1863-1933) attended the city's school of Beaux Arts and won a scholarship to study in Rome. He worked with Josep Llimona on a retablo in the Basílica de Santa Engracia in Zaragoza and taught Pau Gargallo in his atelier. He often worked with Enric Sagnier i Villavecchia, notably on the customs house in the Port Vell. 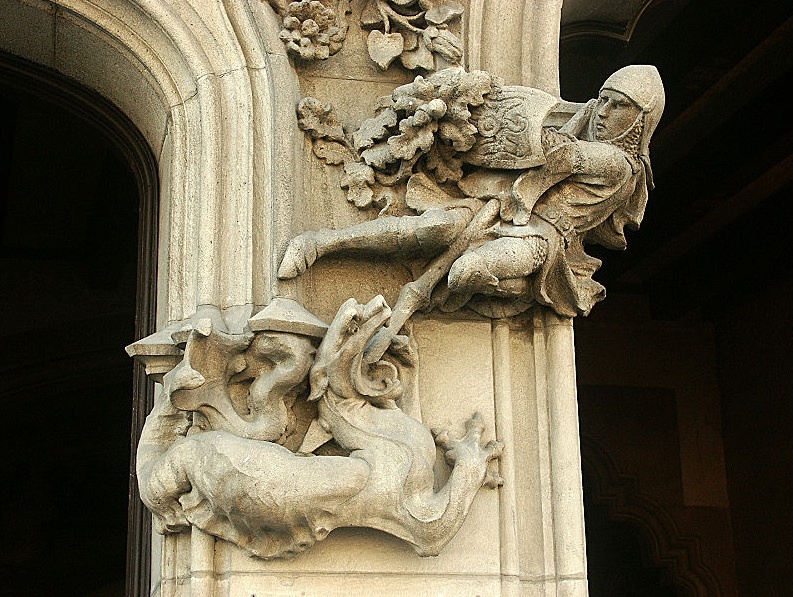 Arnau is best known for his often playful sculptures on Modernista buildings, including Casa Amatller Casa Lleó Morera, Palau de la Música Catalana, the Hospital de Sant Pau, and his fireplace in the bar of the Hotel España.